For a limited time get both The T Zone and JUST WHO DO YOU THINK YOU ARE for the low price of $19.95 plus $3 S&H! A savings of 56%! Amazon.com Sales Rank: 4.98 of a total of 5 stars. 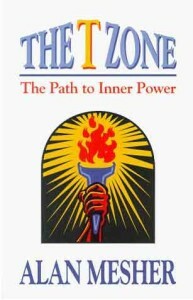 The T Zone will help you understand why certain themes in your life are never resolved, but keep repeating no matter what you do to change them. 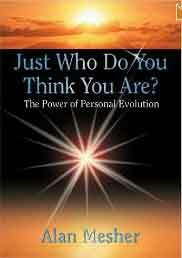 Now you can take charge of your life and increase your power. Read a sample. Based on Alan Mesher’s twenty-five years in private practice and working on thousands of clients, this groundbreaking work presents a streamlined and accelerated path of growth that will help you elevate your life and stand tall in a dangerous world. Read a sample.